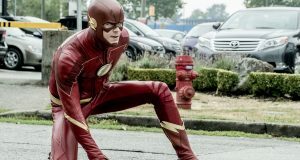 The CW has renewed The Flash for Season 5. 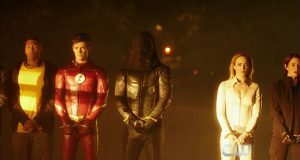 Preview trailer and screencaps for Day 2 of "Crisis on Earth-X"
Preview trailer and preview images for The Flash episode "Girls Night Out"
Photos: Danielle Panabaker On Whose Line Is It Anyway? The Flash's Danielle Panabaker will be a guest on The CW's Whose Line Is It Anyway? 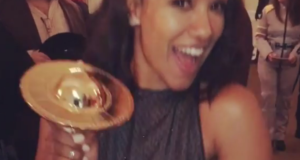 "Iris West" Candice Patton was honored with a Saturn Award for Best Supporting Actress on Television. 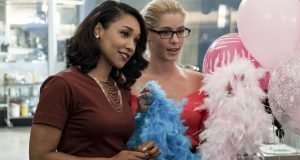 Photos of Flash star Candice Patton's appearance on The CW's Whose Line Is It Anyway? 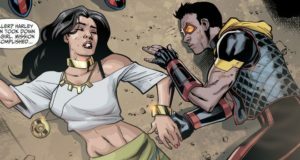 Grant Gustin talks about the many crossovers and reunions in the Flash musical episode "Duet"
The Flash “Dead or Alive” Description: Gypsy Arrives! 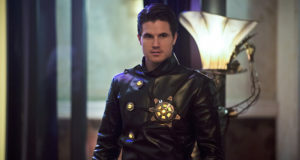 Robbie Amell is returning to The Flash in Season 3. 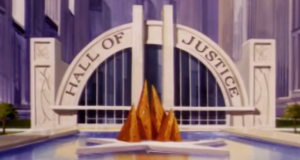 Marc Guggenheim talks about the "Hall of Justice" seen in this year's DC TV crossover.